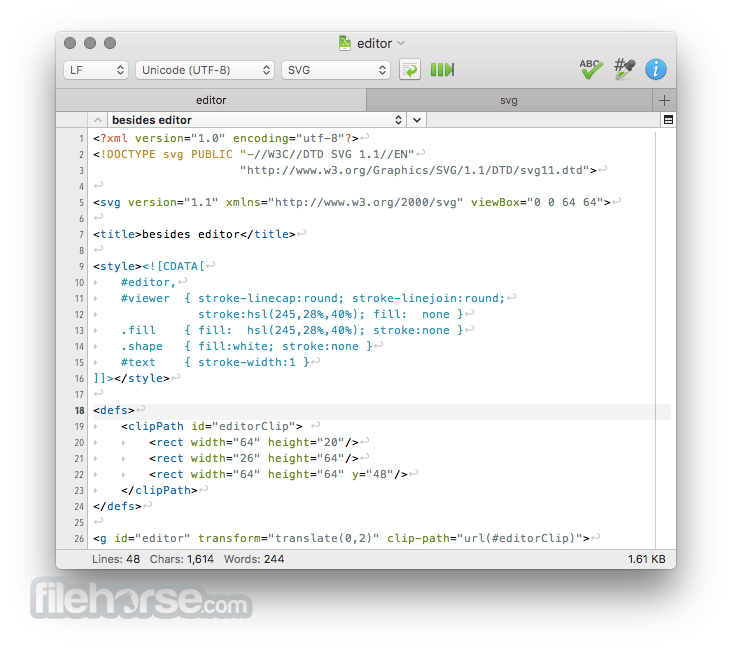 CotEditor for Mac is an open-sourced, Cocoa-based plain-text editor for OS X. It supports syntax highlighting, powerful find-and-replace with OniGmo (regular expression engine), and other small goodies for coding. 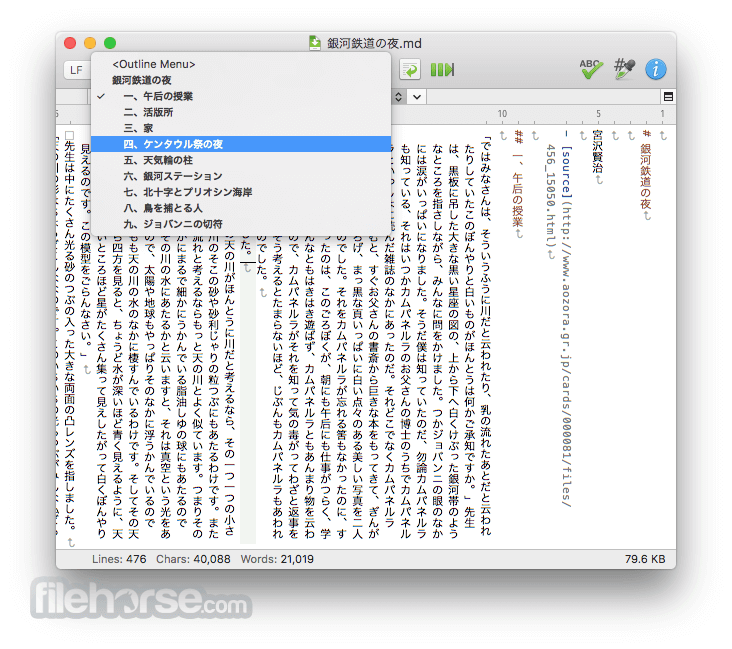 It can handle also CJK languages well. CotEditor is exactly made for macOS. It looks and behaves just as macOS applications should. 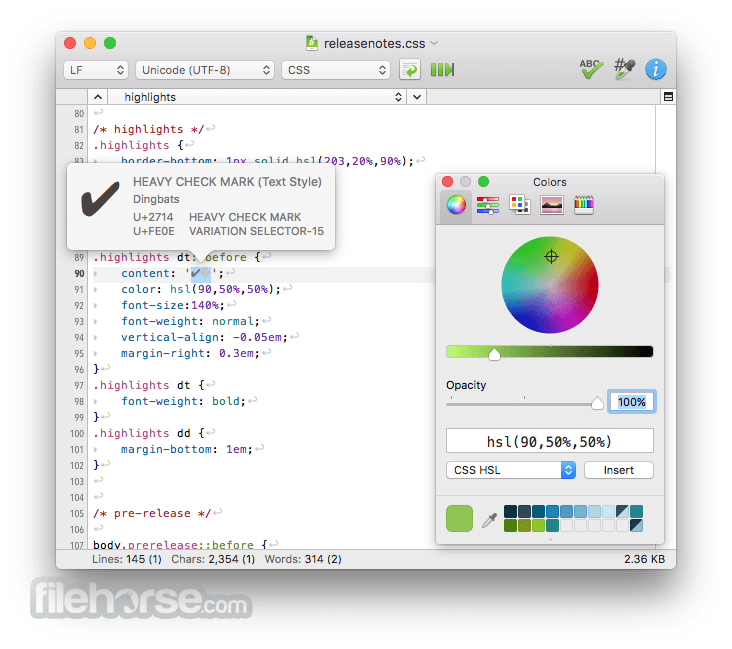 CotEditor for Mac launches so quick that you can write your text immediately when you want to. 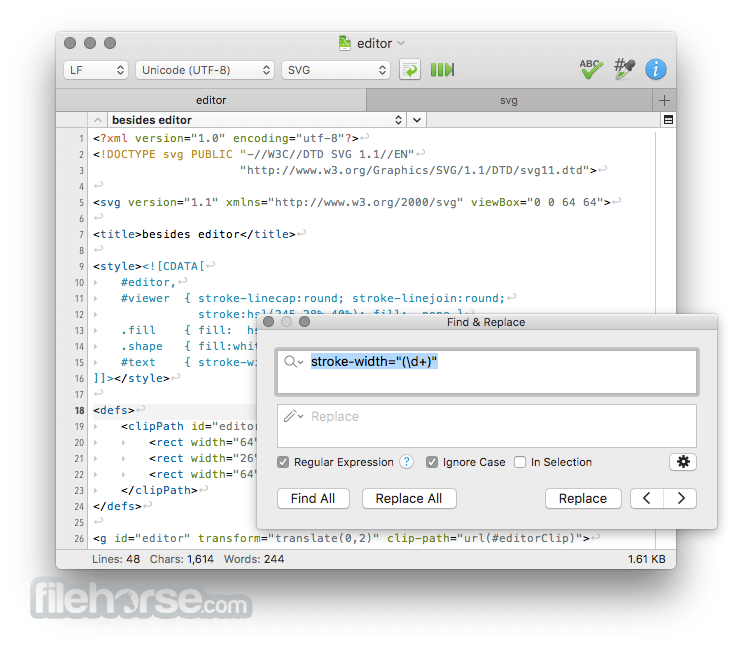 CotEditor is developed as an open-source project that allows anyone to contribute. There are no complex setting files that require geek knowledge. You can access all your settings including syntax definitions and themes from a normal preferences window. You don't need to lose your unsaved data anymore. 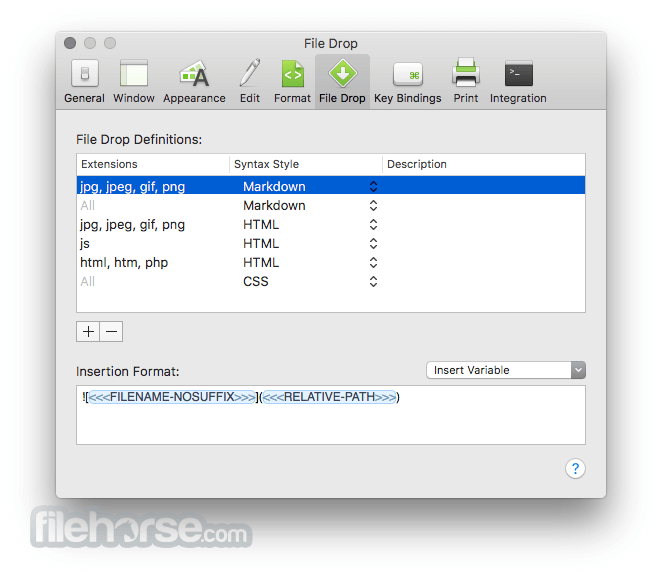 CotEditor for Mac backups your documents automatically while editing. Check and list-up the characters in your document that cannot be converted into the desired encoding. Extract specified lines with the predefined syntax and you can jump to the corresponding line.